Rennco offers a variety of semi-automatic vertical bagging machines that offer you a reliable and versatile bag sealing experience. 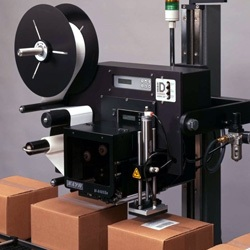 The semi-automatic vertical L-bar sealers come equipped with a unique sealing assembly to seal polyethylene and polyolefin films. Be sure to get in touch with a Rennco expert to discuss the correct Poly bagger or Shrink film bagger for your application. 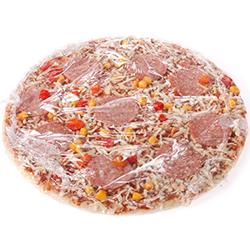 Ensuring all of your products are properly wrapped and sealed is important to Rennco. 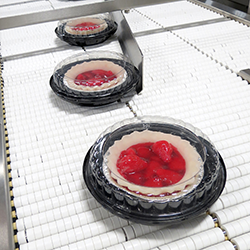 If you need bagging systems for your products, Rennco has plenty to choose from. Get the most efficient and effective vertical bagging machine solution from Rennco. The 501 SF vertical L bar sealer is a versatile packager for large, cylindrical products. The 301 PP-SF vertical L bar sealer is the "pouch pack" version of the 301 SF vertical sealer. The 301 SF vertical L bar sealer offers film savings on products that are longer than they are wide. 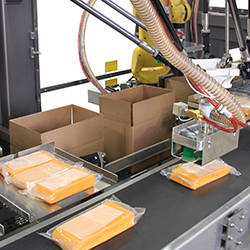 The Rennco 201 PP-SF vertical L bar sealer is the "pouch pack" version of the 201 SF packager. The 201 SF vertical L bar sealer is beneficial for small footprints, only 2.5' x 2.5'. The E-Pac is an easy to use vertical L bar sealer featuring servo motor drives. An automatic, demand fed Shrink Bundler packaging system for shrink overwrapping.